The world may believe the e-commerce wars are being fought out by giants like Amazon and Walmart, but as an e-commerce business owner, you know you are right there in the trenches competing for today’s consumer’s business. One of the weapons the giants are using to drive you out of the battle is one all customers now clamor for — free shipping. According to a recent study, nine out of 10 online shoppers said free shipping was the number one incentive when asked what would make them shop online more. That's free shipping for the customers, but there's no way that shipping's ever going to be free for you. You know shipping costs are eating into your profits, so the best you can do as an e-commerce business is to reduce those costs as much as possible. Below are tips your e-commerce business should consider to help cut shipping costs without cutting corners. Carriers, even the big boys like UPS and FedEx, hate to lose customers and always are looking to gain more business. As such, most carriers are willing to give a little to get a little more. Shop different carriers to see how their rates compare and allow you to offer the best shipping options at the lowest cost. Major carriers have representatives all over the country who have authority to negotiate rates base on your volume of shipping. Establishing a strong relationship with carrier representatives can prove beneficial and help your business evaluate additional saving options. Don’t have the time and expertise to negotiate rates yourself? 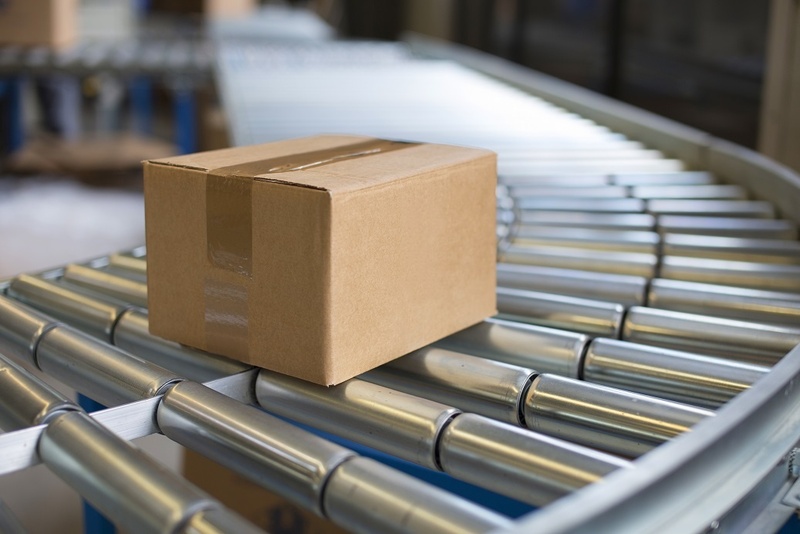 Partnering with a fulfillment center may be right for you (skip down to #5 to learn more). As today’s e-commerce companies know, shipping carriers prefer smaller packages to larger ones which is why shippers have moved from rates based on package weight to rates based on dimensional weight or package weight, whichever is greater of the two. Dimensional weight reflects the package density, which is the amount of space a package occupies in relation to its actual weight. To get the dimensional weight, multiply the package length by the weight by the height. This means size matters and packaging orders in proper size boxes is vital to keeping shipping costs as low as possible. This is especially important for e-commerce companies who offer large, light-weight products. You might think the big, name-brand shipping supply companies are offering you the best price because they sell in greater volume, but sometimes smaller supply companies come up with the better deal. As with carriers, it is important to shop around when deciding on suppliers for packaging needs. Saving a few cents per box adds up. When purchasing items such as padding for packages, it is important to evaluate whether investing in equipment, such as a bubble wrap or pillow packaging machine, would benefit you in the long-run rather than paying repeatedly to have air packets shipped to your warehouse. As you’ll see in tip five, partnering with a fulfillment center who has made the investment and has all the equipment needed readily available in their facility may be a better route for your business. Ask your suppliers to ship your raw products to you on your account. When you pay your shippers directly, you add to your volume of business for potential discounts, plus you avoid any extra charges your shippers may slip on top of the shipping. Depending on the size of your e-commerce business, outsourcing your order fulfillment to a third-party logistics (3PL) company could help you achieve all these savings and more. Fulfillment companies bundle all their clients' shipping into one giant account and therefore negotiate better deals on shipping rates than you would be able to reach on your own. With their greater volume, they also can negotiate with multiple carriers, including major, smaller and regional carriers, to get the best rates on each package you ship. What’s more, partnering with the right order fulfillment provider means they will handle all the carrier contract negotiation, scheduling of pick-ups and deliveries, have processes in place to select most cost-effective shipping methods and offer your company cash flow advantages. As highlighted in tip four, utilize your fulfillment center’s carrier discounts by asking your suppliers to ship your inbound inventory on your 3PL partner’s shipper number. 3PL companies also save your business money in other areas that contribute to your overall profit margin. They reduce packaging costs with their higher volume and greater purchasing power. They can take charge of your inventory management, implement best practices based on previous experience and reduce overhead costs. Best of all, partnering with a fulfillment company allows you to leave the order fulfillment and shipping needs to an expert and frees up your time to focus on growing your business…back to the creative work that launched your e-commerce company in the beginning. When you're ready to pass the baton on the logistics portion of your e-commerce business, contact us for a comprehensive review of your order fulfillment and inventory management needs.